Good news for travelers who want all the comforts of a hotel, but without the accompanying carbon footprint: Cala Luna, a luxury hotel in Costa Rica, provides a green retreat that’s about to get even greener. While Cala Luna has already attracted attention for its sustainability efforts, the hotel has launched new initiatives that will make it completely solar-powered and carbon-neutral by 2019. Cala Luna was one of the first luxury hotel resorts to embrace ecological concerns and sustainability. 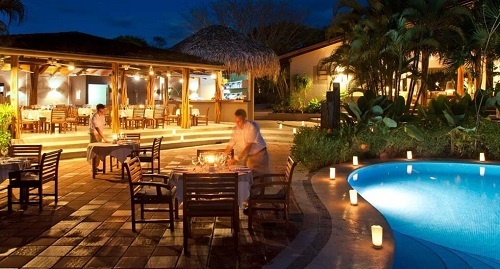 Renowned for its far-reaching renewability standards and goals, the tropical sanctuary is devoted to the local neighborhood and surroundings and is proud to have the highest Sustainable Tourism certification (level 5) bestowed by the Costa Rican Tourism Institute (ICT). Additionally, the hotel has a Programa Bandera Azul Ecologica (Blue Flag Ecological Program) certification, a government recognition for ecologically focused communities in Costa Rica. Cala Luna recently announced its newest goal: attaining 100 percent solar-powered and carbon-neutral status throughout the hotel and villas by 2019. All of Cala Luna’s water heaters are already powered by solar panels, so the next step is solar power for the entire resort. From its inception, Cala Luna has been a pioneer in the inclusion of green efforts in all operations. These efforts include the use of LED lights, biodegradable toiletries and glass-bottled water in all rooms and villas, endemic ingredients in spa treatments, and eco-friendly bamboo straws for beverages. Additionally, the staff is taught to implement green practices, and guests have access to free bikes to get around town. Besides providing an eco-conscious space for visitors to kick back and relax, Cala Luna actively participates in greening the local community. For example, the hotel leads farm tours that let guests learn more about the source of their organic meals and partners with local organization The Clean Wave to help with beach cleanups. Guests at Cala Luna can rest assured that their eco-retreat will not only help them get closer to nature, but help protect it as well.